Security at airports has become very important across the globe. As a result, TSA agents have searched more luggage than before. Need a solution for privacy during screening? 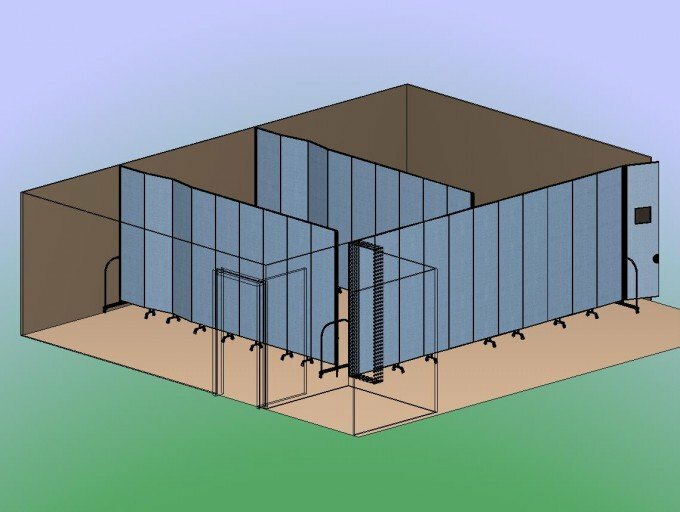 Screenflex portable walls are setup with ease by a single person to create the privacy you desire. Furthermore, self-leveling caster wheels aide in moving Screenflex dividers from place to place. Consequently, agents need a way to block off the view of certain security areas without interfering with existing ventilation and lighting systems. DONE! Therefore, by using only two of our freestanding portable walls, you can obtain the extra space needed in an economical fashion. The acoustical properties of the accordion walls help reduce sound.